At Warminster Maltings Ltd, via our sister company, grain merchant Robin Appel Ltd, we place contracts with farmers right across the country for the full spectrum of barley varieties we anticipate we will require. We then take ownership of our barley from the day it is harvested. We immediately analyse it’s malting quality, and then we continually micro-malt and micro-brew freshly drawn samples from the farm, right up to the day it is delivered to the maltings. Then from the day our barley enters the steeps our highly skilled maltsters tend to the ‘green malt’ continuously, day and night, to ensure the highest extract figures from the finished product. We are all focused on achievingthe absolute best for our brewery customers. Delivered direct from our maltings, we offer brewers the most comprehensive ‘One Stop Shop’ solution for their malt requirements. This facility quickly translates into the single pallet of mixed malts, prepared, packed and stacked to our customers exact requirements. Add to this the further quality checks that immediately follow, while the malt sits on the pallet, and you can see how we are leaving ‘no stone unturned’ to ensure the absolute best for our brewery customers. At Warminster Maltings we pride ourselves that we can offer brewers the widest range of speciality malts of any supplier in the UK. 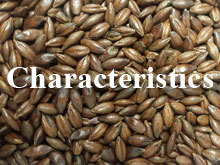 As well as all the standard grades, we can supply, for example ‘low colour chocolate’, ‘rye crystal’ and ‘flaked malted oats’. 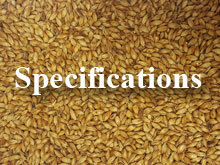 We can deliver our malts as ‘whole malt’ or ‘crushed’, in 25kg bags clearly labelled and shrink wrapped on a pallet. We can also deliver in 500kg mini bulk containers. For the larger customers, of course, we can deliver in bulk. Most important, we can deliver when you want it! Our integrated supply chain and our painstaking traditional malting process are what makes our famous Warminster Malts the Integrity of the Beer.